What can you tell us about Colin Rea? Is he any good? Kinda came out of nowhere, eh? A weasel hath not such a deal of spleen as Carson Cistulli is toss’d with. (Shakespeare insults really are fantastic). Can Brandon Drury be a league average starting 2b or 3b? Do you like his bat? He can be. But I suspect he'll tend into the slightly below-average range. Probalby a lowish OBP with some pop. Mark Lewis-y? Who pays what to sign Chris Davis? A baseball team pays United States dollars. Mr. Farnsworth gave Socrates Brito a 55 grade. Are you as big a believer in the bat or does he look like a 4th OF to you? I'm not a huge believer. Triples peak at like 21. Does Mccutchen walk after 2018? 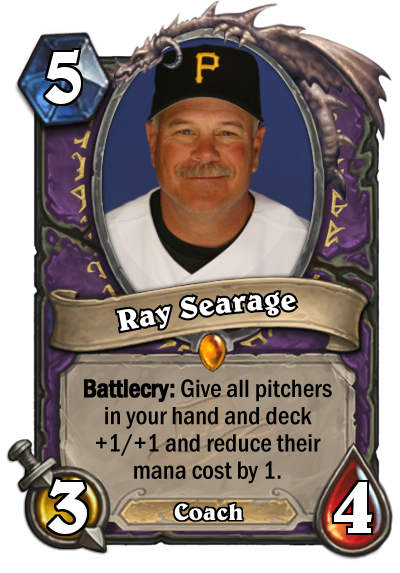 He already took a team friendly deal and doesn't owe the Pirates anything. Really can't see them trading Cutch either. What are the pirates doing this off-season? They usually make smart moves but in what universe is signing sean Rodriguez for 2.5 million and ryan vogelsong for 2 million a smart use of limited resources?! Is Billy Beane reaching his GM expiry date? I have no idea what the A's are thinking. I've been very critical of some of the A's moves. They lack imagination. Did like Alvarez signing. Would you rather have Joey Gallo's upside or Greg Bird's high floor if you had to choose one? How is the Braves' rebuild going? What would you do next if you were me? People go ITLL KILL THE ATTENDANCE. But there's not really much evidence in that - I haven't found any attendance benefit when looking at the issue. During a Back to the Future marathon, what percentage of the time are you looking at your computer/phone/anything other than the screen? Your site is making my fan run overtime lately. What gives? If you let XTC work your senses overtime, surely you won't begrudge ESPN working your computer fan. Or are you referring to FG? You have to talk to Davids about FG questions. 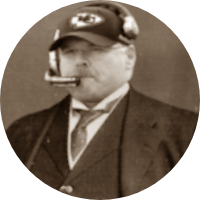 The Royals are gonna be bad in 2016, right? Lost Zobs, Cueto, probably Gordon. 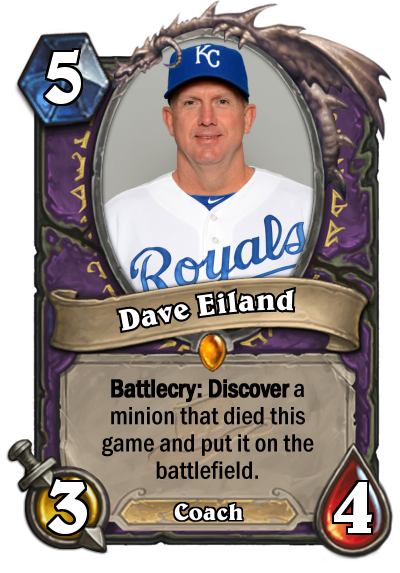 Dave Eiland is a warlock. Knows not how to play baseball.